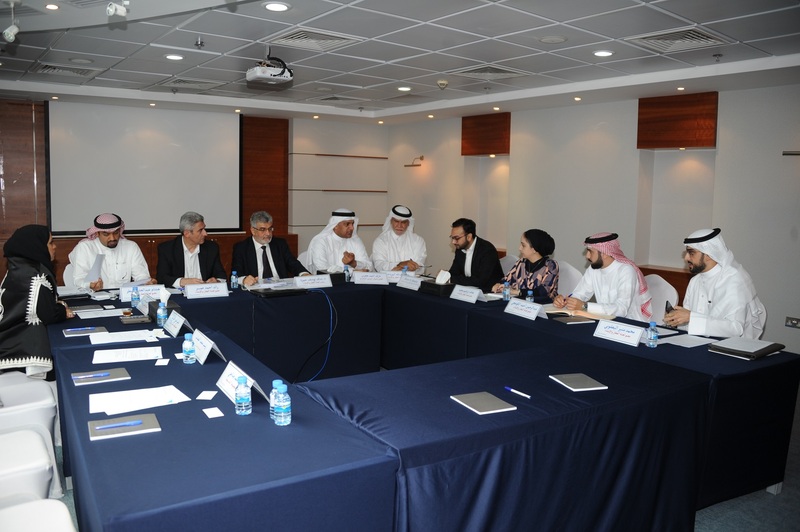 The Real-Estate and Constructions Committee of the Bahrain Chamber of Commerce and Industry (BCCI) has recently held its first meeting spearheaded by committee chairperson Dr. Manaf Hamza. During the meeting Mr. Raed Omar was elected vice-chairman to the committee, and two work groups were formed; one concerning the real-estate and headed by Mr. Abdulrahman Al Kooheji, and the other concerning the constructions sector and is headed by Mr. Raed Omar. The meeting also underlined the pivotal role of the real-estate and constructions sector in the economic development march in Bahrain, and stressed the need to improve the infrastructure and regulate the market. It is worth mentioning that alongside the committee’s head and members, BCCI Treasurer and Acting Chief Executive Officer Mr. Aref Hejris, and board member Ms. Sonia Janahi were also present at the meeting.